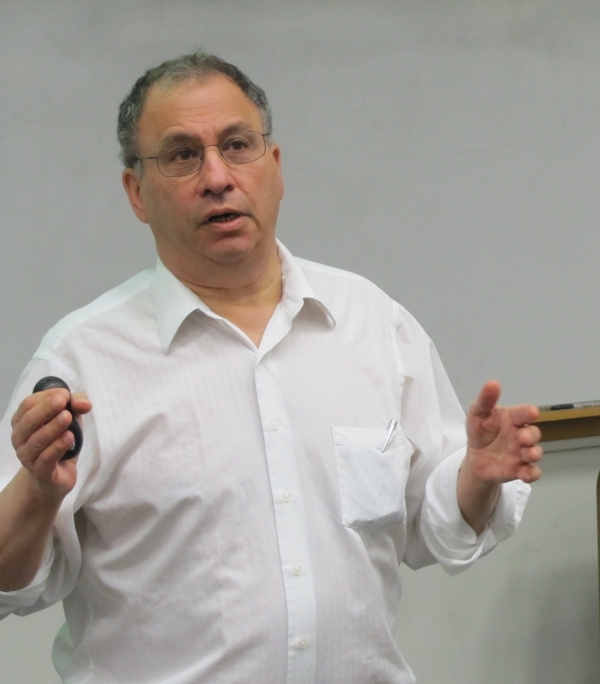 National Medal of Science recipient Simon Levin delivers a lecture to NIMBioS postdocs. Congratulations to Simon Levin who has been awarded the National Medal of Science for his work unraveling ecological complexity using observational data and mathematical modeling. Levin’s research focuses on complexity, particularly how large-scale patterns — such as at the ecosystem level — are maintained by small-scale behavioral and evolutionary factors at the level of individual organisms. With research topics primarily related to ecology, other topics Levin has analyzed include conservation, financial and economic systems, and the dynamics of infectious diseases and antibiotic resistance. Levin will be honored at a White House ceremony along with eight fellow Medal of Science recipients and eight recipients of the National Medal of Technology and Innovation. The National Medal of Science was created by statute in 1959 and is administered for the White House by the National Science Foundation. Awarded annually, the Medal recognizes individuals who have made outstanding contributions to science and engineering. According to the award announcement, the President receives nominations from a committee of Presidential appointees based on their extraordinary knowledge in and contributions to chemistry, engineering, computing, mathematics, and the biological, behavioral/social, and physical sciences. This entry was posted in awards, ecology, evolution, visitors and tagged awards. Bookmark the permalink.